Procedurally, a divorce in Oklahoma requires only three steps: filing divorce documents, proper notification to all parties involved and presence at a scheduled hearing in court. Generally, the other spouse is notified of the divorce once he is served with the divorce papers, usually by a deputy of the sheriff’s office or another officer appointed by the court. If no agreements can be made, or issues are contested in a divorce, the court will hold a hearing. If one spouse fails to appear on that date, the court may proceed with the divorce and order a judgment by default. 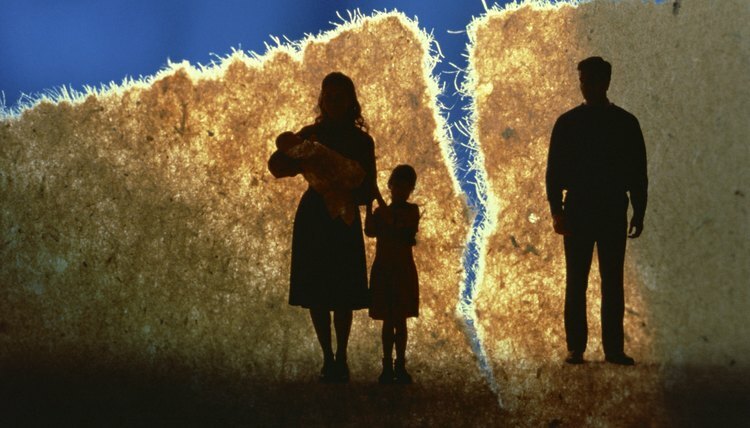 In Oklahoma, a default divorce occurs when one spouse is an all-around “no show” -- that is, he doesn’t sign any divorce paperwork or participate in the divorce proceedings, including any hearings. Any documents filed with the court have specific timelines for the other party to respond or take action. Once a spouse refuses to respond within the appropriate time, the court may proceed without that person's consent. Simply put, the non-filing spouse may ignore the divorce documents or completely refuse to sign anything, but once the required time period has passed, the filing party will be granted a “default” divorce, regardless. However, even if the court grants a default divorce to one spouse, the other spouse may file a motion to vacate the judgment within a certain period of time if she can provide an adequate reason for the default. The court might vacate a default divorce for various reasons, such as the spouse being hospitalized. Usually, a court will grant a spouse's motion to vacate a default divorce because courts want to decide cases on their facts with the participation of both parties, especially when families and children are involved. Even when a divorce is by mutual consent, when minor children are involved, there will be a 90-day waiting period before a divorce can be finalized. Sometimes, the spouse filing for divorce is unable to adequately serve her spouse with the divorce paperwork, as required by the court, because she either does not know his whereabouts or he purposefully avoids service of the documents. As long as the spouse filing for divorce has made an honest and reasonable effort to locate her missing spouse, Oklahoma courts will still allow the divorce. All court filings in Oklahoma require appropriate filing fees and divorce papers are no exception. Fees vary depending on whether there are minor children and whether the filing spouse wishes the court to serve the non-filing spouse with the divorce documents. The filing fees are paid when the divorce papers are filed.